CrossFit is constantly varied, high intensity, functional movement. The constant variation is designed to develop your physical skills across a broad range of movements and activities. CrossFit specializes in NOT specializing, in order to prepare you for the unpredictable and unknowable. The high intensity is necessary to cause an adaptation, or change in our bodies. We get stronger, faster and more powerful as we train at intensity. Without it, we simply don’t progress. Functional movements are those that echo and amplify the kinds of movements we use in everyday physical tasks. Holding our bodies safely in different positions, lifting and moving objects, throwing and jumping, running and swimming. Most importantly, functional movements are those that allow us to move large loads, long distances, SAFELY, EFFICIENTLY AND QUICKLY. CrossFit is for everyone who wants to get stronger, faster, more powerful, leaner, more toned, more agile, balanced and stable, and more coordinated. The needs of elite athletes and grandparents differ only by degree, not kind. The functional movements we use are the same, only the loads and intensity are different. Difficult is nothing to be sacred of; all real training involves difficult as we learn new skills and reach for new heights. The good news is that all CrossFit exercises are scalable to your present ability. To begin with, you will focus on the mechanics of the exercises. Once you become skillful enough at each exercise, we then increase the intensity and load, relative to your abilities. As you develop even more skill in the movements, we can add more intensity. As intensity increases, you will get stronger, faster, more powerful. 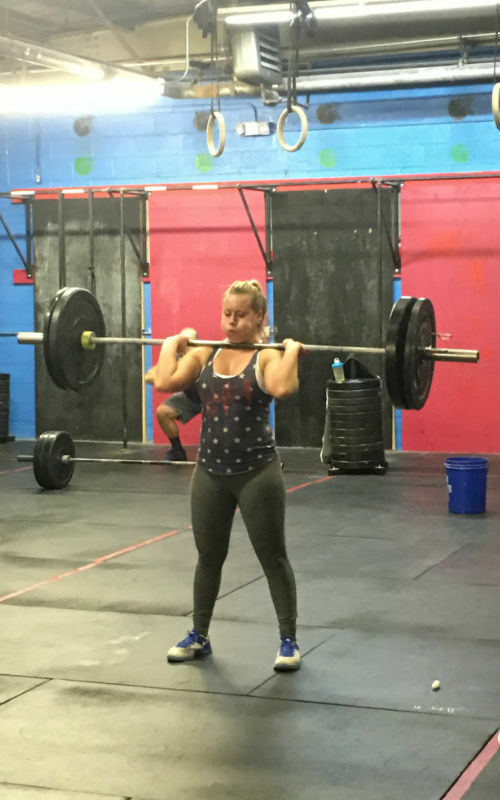 Will CrossFit help me lose weight? The movements of CrossFit workouts involve a significantly larger number of muscles than exercises done on machines or in a typical gym routine. The workouts are short and intense, which means you will burn a large amount of energy in a short period of time. Coupled with eating the right types of food, losing body fat is inevitable! However, we treat fat loss as a side-effect of increased functional performance and healthy eating. As your strength, power and speed increase and your nutrition improves, the way you look will reflect that! The WOD is the Workout of the Day, a central expression of CrossFit and a measure of your constant progress. It will rarely repeat and sometimes you might never see a particular WOD again. The WOD keeps your body adapting by challenging it every day with something new. This constant, daily variation is what makes CrossFit so much fun for many and is one of the great motivating factors. Constant challenge + constant change = never bored! The WOD is also an expression of community. You are training hard with others. This brings a dimension to your workout seldom seen in big gyms; the achievements of your companions will spur you on as much as your own! Get started by contacting us today! We will get back to you within 24 hours.